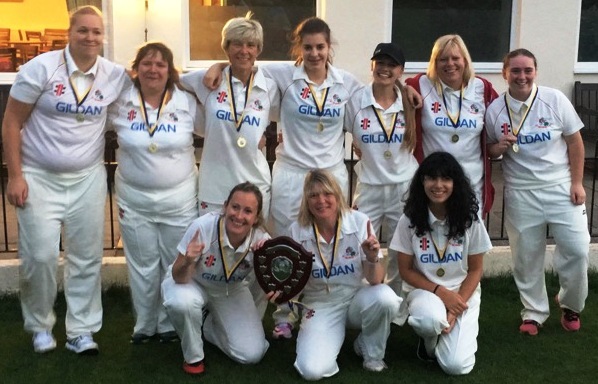 Congratulations once again to our ladies team who at the end of the season were victorious in the league playoffs held at Shifnal CC. U15 match vs Wolverhampton Rearranged. The Under 15’s match scheduled to played Sunday 30th June against Wolverhampton has now been moved to Sunday 28th July. The fixtures for next season have now been set by the SCCL and can be viewed on this site on a weekly basis in the right sidebar under “Senior Fixtures and Results”. Or you can look at all fixtures for a team by linking to the team page via the side bar or via “Teams” in the menu bar above. The good news (I think) is that the 3rd XI has only one Sunday fixture and the 4th XI only two. The teams selected each week will, as last season, be posted directly after the weekly selection meeting and can be viewed by clicking the “Weekend Teams” graphic on the top right of the page. 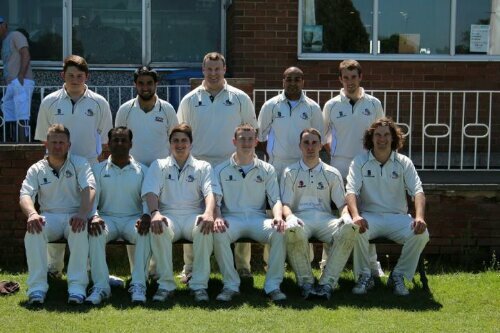 St Georges first XI pictured above beat Shelton at home by 2 wickets. Having bowled out Shelton for 209 with Tim Lyne taking 4 for 48, St Georges chased the target down in 39 overs. Muhammed Zaheer opened the batting with 52. U15 Practice tonight Tue 1 May is cancelled ! Sorry folks, more rain today means the ground is still waterlogged, so there will be no practice tonight. Another match falls victim to the drought. It’s just too dry to play. We have just been informed the Third XI match against Beacon tomorrow (28th April) has been cancelled. East Shropshire Cricket Board (ESCB) is running a coaching day for U15 players at Lilleshall Sports Centre on Saturday 14th April. The day is aimed at players who are not district or county squad members. There will be county level coaches running the course. It starts at 8:45 am and ends at 4:45pm with a 3 course lunch provided. At only £15, this is great value. Places are available on a first come first served basis. Click here for a booking form. Most of our Sunday friendlies are now arranged, thanks to Jim Heath. You can view them all here. We are still looking for someone to captain the Sunday XI. Any Nominations ?